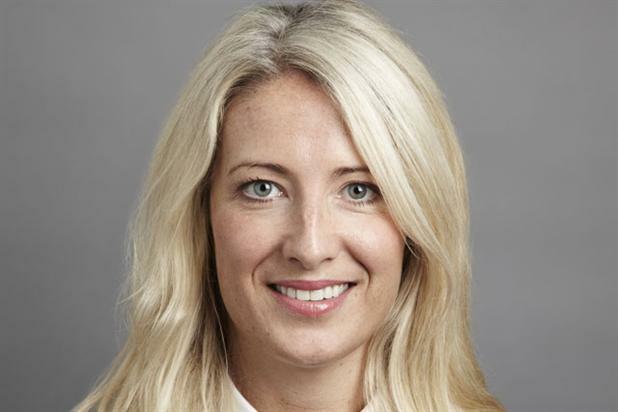 Lindsay Nuttall, joint chief digital officer at BBH, and former marketer at the BBC, E4, MySpace and ASOS, believes that "everyone is winging it" and reflects on how the internet shaped her career, as part of Marketing's series to mark the 25th anniversary of the World Wide Web. I would never have predicted that the internet could have such a big impact on my career path. Sure, I had an early penchant for online shopping but that was about as far as my passion for digital went. I am not techy, working in the digital space has often felt difficult and almost everything I have done only made sense in hindsight. The truth is no one is really an expert and you have the potential to change the future of the industry, your sector, your business results and your career if you are willing to take risks in this space. I joined Channel 4 at the beginning of the noughties to launch E4. Branching out into multi-channel television was about as far up the digital adoption curve as it was safe to be back then - a job in anything related to the website was largely regarded as a fate worse than death. We would occasionally have the odd meeting with some well-meaning nerds, from a dark corner of Horseferry Road, who would proclaim "Mobile is the future!" We would roll our eyes as our Nokia banana phones tried in vain to crank up a connection to handbag.com and then return to the de rigueur method of getting one’s entertainment and information - flicking nonchalantly through Heat magazine. It was 2006 when my digital revolution really began when a script entitled "Skins" was dropped onto my desk. The show creator Bryan Elsley and I decided a few TV trails were not going to cut it to make this a really successful youth drama. Simon Hankin at Holler mentioned to me that young bands were now attempting to build up a fanbase in advance of releasing their music on a novel new platform called MySpace. I decided to use some of the marketing budget to make some extra assets from the show that we could use there, giving birth to the concept of multi-platform commissioning without really knowing it. By the time we got to the TV phase of the campaign, Skins already had 75% awareness among UK 16-34s. It was a smash hit from opening night, the campaign won 3 IPAs and became the case study for how to make the broadcast and online worlds work together. My passion for breaking the mould was cemented for good. I left Channel 4 in 2007 for a bigger job at the BBC. It was much harder to collaborate and join the dots to get great digital work out of the door at the Beeb. Tony Hall still has his work cut out breaking down silos seven years later. I felt further away from my digital breakthrough and the more I learned the less I felt I knew. It was clear that TV marketers would be left behind if they didn’t skill up. I packed my bags and went to join MySpace (who I met during the Skins launch), for a proper immersion into the ways of the valley. I got more than I bargained for. In my first month in the job I watched a video of Jim Collins talking about "How the mighty fall" and realised MySpace was already at stage four of his five-stage process through which companies plunge into capitulation and irrelevance. I braced myself. MySpace was like a live interactive case study in how not to manage a brand, what happens when you forget why your customer is coming to you and how not to develop a company’s culture. Back then, it was rare for tech companies to understand "brand" and how to use it as your North Star for decisions on company operations. On the way up, all the disconnected decision making was shrouded by the rapid growth but when the competition hotted up, MySpace crumbled like a house of cards. Towards the end it was like the night of the long knives or maybe more like an episode of Scooby Doo. If I weren’t under NDA I would write the film script. MySpace was chock full of digital experts - but one year, 24 office closures, three CEOs and a lot of battle scars later, it was pretty clear that digital prowess alone doesn’t guarantee your success. Nothing will ever replace a clear vision and a relentless customer focus as the corner stones of great strategy. But as our customers spend increasing proportions of their lives online, you can’t really have customer focus without a sound digital strategy. Thankfully during my tenure which followed at online fashion retailer ASOS we had the right mix of these ingredients. That’s not to say things always felt perfectly orchestrated – they didn’t – but digital thinking grounded in a ruthless focus on 20-something fashion customers took us to places that were both creatively exciting and commercially successful. I worked with BBH at both MySpace and ASOS and we had developed digital work that had placed fans in music videos with their favourite artists, brought fashion inspiration to young men from guys across the globe and brought gaming principles to the world of CRM. We share a similar vision for the future of consumer engagement and excitement for what can be achieved in this space. Eventually we decided it would make sense to properly join forces. I am two months into my tenure at BBH and it has been fascinating to observe the struggles of digital transformation across the industry from a broader perspective. I can’t help thinking that because marketers haven’t demystified digital for themselves, they think it is more different than it really is. Being a truly brand- and creatively-led marketer, who has crossed the fence into the tech world, I believe the overall rules of the game are no different. Creative excellence is still the best driver of breakthrough performance, if you want an amazing global brand, you have to manage it tightly and creatively at every touch point – and, above all, there were never any guarantees and there still aren’t. I am writing this having just finished listening to an inspiring talk by tech entrepreneur and Reddit founder Alexis Ohanian at SXSW. He talked about coding being the most valuable skill of the century (at BBH we agree – the whole agency is training to code with our amazing friends at Decoded) but he also talked about the fact that deep down, everyone is winging it. His point was every brilliant thing in the world was started by a group of people who essentially didn’t know what they were doing. The crowd laughed when he showed stills of the first version of Twitter. The first version of everything is "janky", as he describes. You have to get through that and learn if you are ever going to create something that blows people’s minds, changes the world and has huge commercial success. I think this is so true for marketers. I see a lot of fear and resistance in the digital space as people are so much less comfortable with the set of levers they are trying to pull. It doesn’t matter. Just try. Fail forward. Your new modus operandi is on the other side of that trial and error. If you had told the 22-year-old E4 me that I would one day be a digital chief I would have recoiled in horror. I developed a taste for being at the forefront of where the market was moving, which has shaped the rest of my career. Who knows where it will take me in another 10 years time? Maybe the CEO of the first time travel company.